High-scale, dynamic infrastructures in data centers call for new management methods. Automation underpinning networks is the order of the day. Operational, economic and legal requirements must be taken into account during the planning process. Even as recently as a few years ago, a relatively manageable number of cables was all that was needed to network switches and servers in a data center. Nowadays, the number of ports and fibers has exploded. High-scale, dynamic infrastructures call for new management methods. Automation is the order of the day – and it works on the basis of networks. Automation is not only required out of technical and operational considerations and due to increased network complexity: There are also economic and numerous legal reasons as well as the question of compliance. Automated Infrastructure Management (AIM) can help data centers fulfill the necessary requirements provided, however, that its introduction is carefully planned. 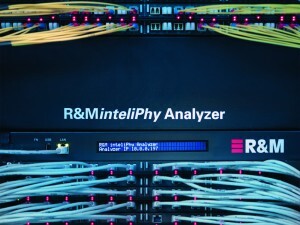 A recent R&M study in a large European installation showed that using the R&MinteliPhy AIM system achieved an 85% reduction in the time required for monitoring and documenting cabling. Validity and accuracy were also increased to virtually 100%. The mean time to repair (MTTR) was reduced by between 30 and 50%. Overall, the data center was made more productive. There are a few basic steps to take when selecting, purchasing and implementing an AIM system. First of all, operational requirements need to be specified. The functional specifications should take account of existing infrastructure, surrounding conditions and expansion plans. The various AIM technologies available offer different benefits. 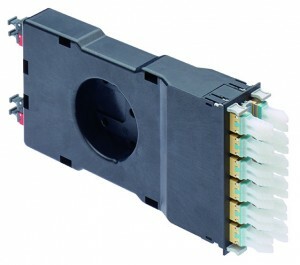 Modular and scalable AIM systems facilitate the gradual upgrading of IT infrastructure. Systems with open architecture are recommended for easier integration into other platforms. You can find tips on the planning process and an overview of the relevant standards and compliance issues in the Focus report in the R&M customer magazine CONNECTIONS no. 49.